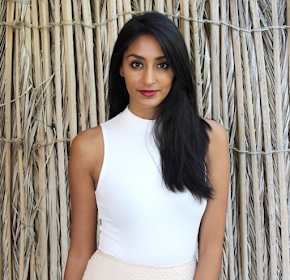 I recently sat down with co-founder of the upcoming International Asian Fashion Awards, Neeru Bhandari. Lovely, outgoing and ambitious are the best words to describe this model/entrepreneur who has big goals for the future. I'm definitely excited and looking forward to the Awards on November 10, 2012, especially with yesterday's announcement of the final judges Antara Motiwala- Fashion Editor of GQ India, and photographer Paul Farnham- who has shot for designer Stella McCartney, fitness brand Adidas and high-profile fashion magazine Harper's Bazaar. Checkout the full interview below. What inspired you to start the International Asian Fashion Awards? It was near Christmas time and we were talking about awards ceremonies, there were loads happening and we were saying no one does fashion awards. There was a gap in the market and no one was recognizing the people in the Asian fashion industry. So we thought, let's start it and see how it goes. And that's where it started! Del is from the catering industry- events. I was working with him on events, we have another company called Viva Events, which looks after the decoration side. I work as a model and that [also] inspired me to start this show. From a modeling point of view we were talking about Asian models not going mainstream, not getting recognition. This Awards ceremony [now] gets recognized in loads of mainstream magazines here as well. People write about us, our models were even showcased the first year in OK! Magazine. So it's given [us] the opportunity to take the Asian fashion industry to the mainstream. The Awards are now in their third year, is there anything you have learned in the previous years that you have incorporated into this year's show? Don't panic! Haha, it's been 2-3 years of a learning curve. The previous experience I've had is that in the Asian industry sometimes [people] don't like something new- they try to stop it. If you fight and if you know what you're doing, people's support will come with time. This is the third year, people are supporting us. We learned our mistakes from the first and second year. Now people understand that we are not taking anything away from them, we are providing on this platform. I used to tell [the South Asian designers] 'Look, there is no harm, if you are so good you should not be scared to come on this platform.' Other people are learning now, they understand that this is not putting you down, it is giving you recognition. Those are designers who have been with us since first year, second year - there [are] designers who have gone the last two years - Ziggi and Ekta Solanki. They come on board, they trust us and people vote for them because their clothing lines are amazing. Tell me about the new IAF Awards Alumni Initiative. The Alumni is a way for us to say thank you to existing designers for participating. It's an opportunity to showcase and show other designers that IAFA is not forgotten after it's happened. It's giving them the opportunity to show people what [the designers] have achieved after winning the Award. They are so happy [with] the recognition they get and how this has changed their lives. The Alumni is making people aware that IAFA is something which you should be proud to participate in, all of the designers who [have been] in it - it has changed their lives. Tell me about the judging panel this year. 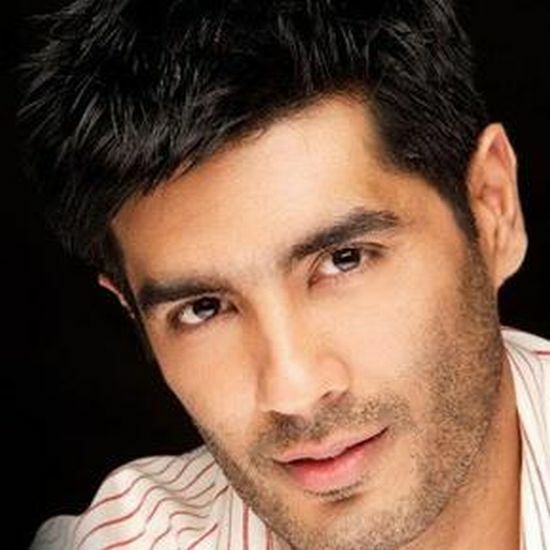 Manish Malhotra, he is the king of the kings. His seal of approval on our event shows that all of the designers should be proud to be participating in this event. We have the biggest of the biggest from Pakistan, HSY -Hassan Sheheryar Yasin. I've worked him previously as well. He's very nice, very down-to-earth, and his collection is different. 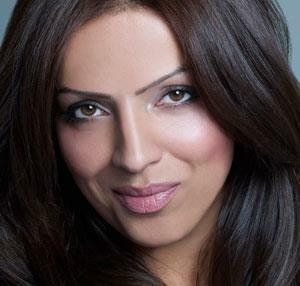 Lubna Rafiq is a unique person in UK, whose got an army of makeup artists working and learning. I have never seen one successful makeup artist who's as big as Lubna Rafiq. She is growing day-by-day, she's got her own brand, she's got a very big team. In what way do you feel that the Awards have affected the South Asian fashion industry? Especially in the UK, people want to bring the quality of home, people want to try new things. There was a very typical UK/South Asian fashion industry. It was just the typical [South Asian] clothing. But now people want to bring the high fashion into it; they want to show people there's a twist. The fashion industry is not about heavy clothing, it is all about being comfortable in it. The new upcoming next generation prefer clothing which is wearable. I want people's mentality to change, there's a lot of people who came from India and settled here but their mentality hasn't changed. They're still living in that old world and I want them to learn that fashion is all about [being] with the times and growing. What trends in South Asian fashion have caught your eye this year? I like the sari where you wear tights underneath and one leg is coming out. You can wear it with boots, it's like you're wearing a long skirt with a pallu, and your leg is coming out. That is something amazing that I saw at an HSY show in Rochester. It looks like a sari, but it's different. It's high-fashion, it's amazing. For the upcoming generation, if you want to wear a sari, wear it with a different trend. I love that. I'm a mix of everything. I love classy things. You will see me in Ralph Lauren, Burberry. I like very classy and very fashionable stuff. I know that I'm very different from other people, when people see me they say 'Where did you get this? Where did you get that?' I try different things, very experimental; I'm not ashamed of trying new things. I love Manish Malhotra, Tarun Tahiliani, Gaurav Gupta, Sabyasachi and Ekta Solanki. There are some upcoming Indian designers that are very small at the moment. I love to see creativity there as well. I want to bring the taste of [South Asia] where all designers are fighting for recognition in one place. Do you have a personal style icon? I love Angelina Jolie. I think she's very classy how she carries herself. The other person I really admire is J. Lo. She is not afraid to try anything. Sometimes I will see a dress and think 'No, I don't think it will look good on me,' when you try it, you actually think it does look good on you. So I learnt from J. Lo as well, she's not afraid of trying new things, new trends. She makes her own style out of it, I like that about her. Do you have any fashion tips? Some people think brands are everything. I mix and match high street retail and big brands. Anything that suits you, wear it. I do not believe everything big brand is always the best thing in the world. I think if you mix brands and you're comfortable in [the] clothing, that's what you should try and wear. Don't try to be someone else when you don't look good in it. I would say one thing - always be honest with yourself. What can guests look forward to for this year's Awards ceremony? After two years of working so hard, the third year is looking very promising and challenging. I'm excited to see new designers coming on board. I'm excited to see new names entering the nominations, and new collections! I don't particularly want the same people always participating, I want everyone to participate and make the event successful.